I tend to opt for showers rather than baths and on the rare occasions that I bathe, I like to use a bath oil such as Aromatherapy Associates Deep Relax Bath & Shower Oil or Ren Moroccan Rose Otto Bath Oil. Having said this, there is something about Lush Bath Ballistics and when I was recently sent their new Rose Queen Bath Ballistic, it offered the perfect excuse for a relaxing soak in the tub. To me, Lush Bath Ballistics are the original and the best. 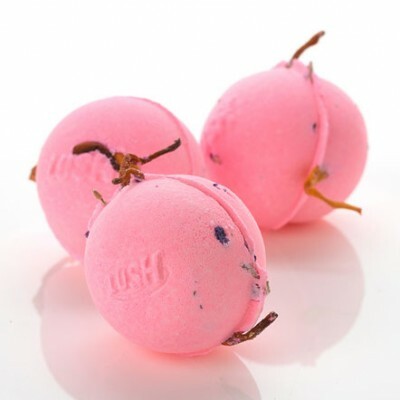 Invented in 1987 by Lush co-founder, Mo Constantine OBE, they are one of the brand's bestselling products and count the likes of Angelina Jolie, Kylie Minogue and Sarah Jessica Parker as fans. Fun, ethical and enjoyable to use, they're also reasonably priced and make good gifts (their Christmas editions are the ultimate stocking fillers). Rose Queen Bath Ballistic is a bubblegum pink colour when solid and is presented in minimal packaging in line with Lush's ethical policy. To use, you simply drop the ballistic into an already-run bath and watch it fizz away. Rose Queen Bath Ballistic combines rose absolute and geranium with amber notes of rock rose. It's a delicate, feminine scent which filled the room beautifully. I love the indulgence of lying in a bath filled with warm, pink coloured water with tiger lily, apple blossom and larkspur flower petals floating on the surface. It feels like the sort of product Cleopatra would go for if she were around today. The only downside is that, unlike Cleopatra, I don't have legions of slaves to clean out the bath afterwards and wiping away the mess caused by the petals does undo the relaxation factor somewhat. At just £2.50 for 95g, it's an affordable treat.